Two pairs of moons make a rare joint appearance. 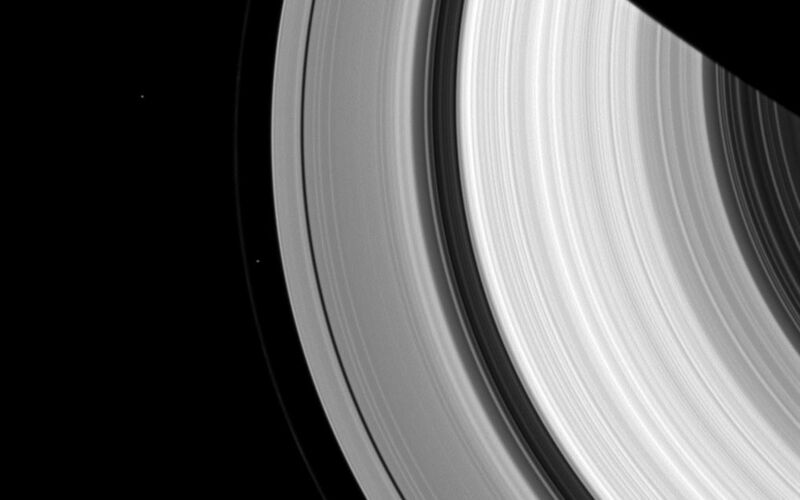 The F ring's shepherd moons, Prometheus and Pandora, appear just inside and outside of the F ring (the thin faint ring furthest from Saturn). Meanwhile, farther from Saturn the co-orbital moons Janus (near the bottom) and Epimetheus (about a third of the way down from the top) also are captured. 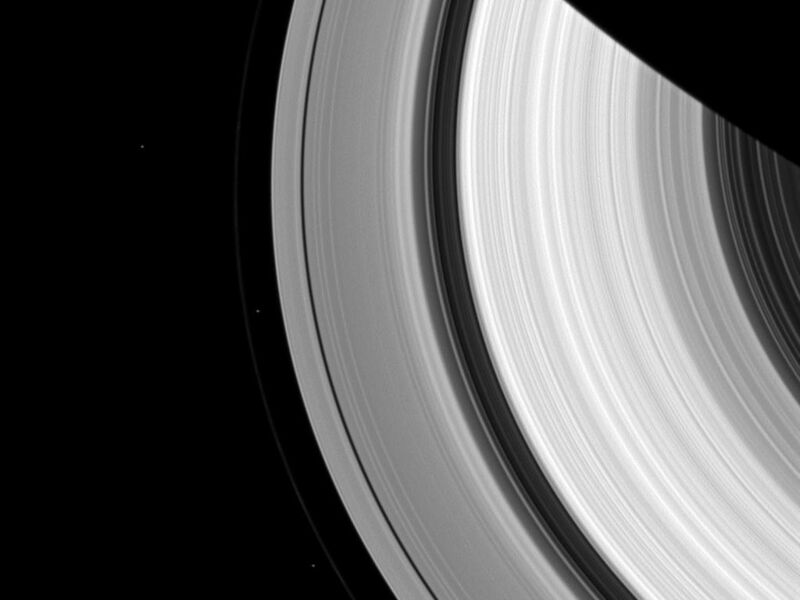 Prometheus (53 miles, or 86 kilometers across) and Pandora (50 miles, or 81 kilometers across) sculpt the F ring through their gravitational influences. Janus (111 miles, or 179 kilometers across) and Epimetheus (70 miles, or 113 kilometers across) are famous for their orbital dance, swapping places about every four years. They are also responsible for gravitationally shaping the outer edge of the A ring into seven scallops. 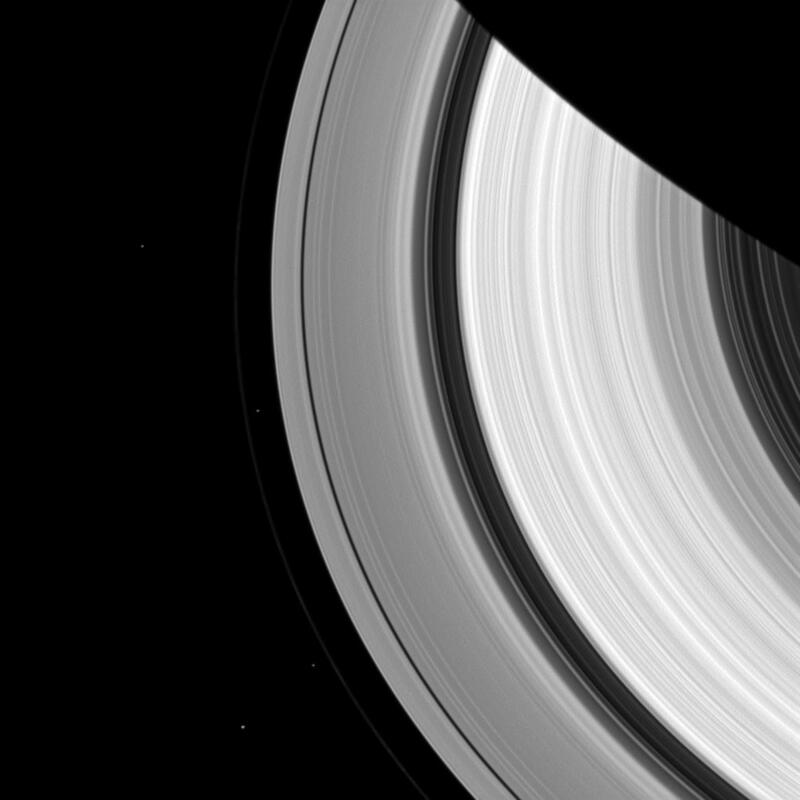 This view looks toward the sunlit side of the rings from about 47 degrees above the ringplane. 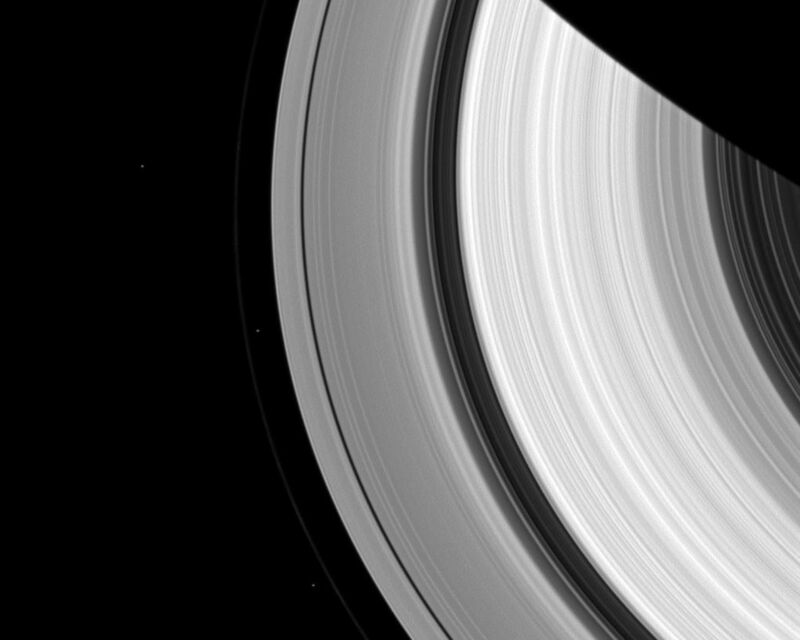 The image was taken in visible light with the Cassini spacecraft wide-angle camera on Oct. 11, 2013. The view was acquired at a distance of approximately 810,000 miles (1.3 million kilometers) from Saturn and at a Sun-Saturn-spacecraft, or phase, angle of 47 degrees. Image scale is 47 miles (76 kilometers) per pixel.